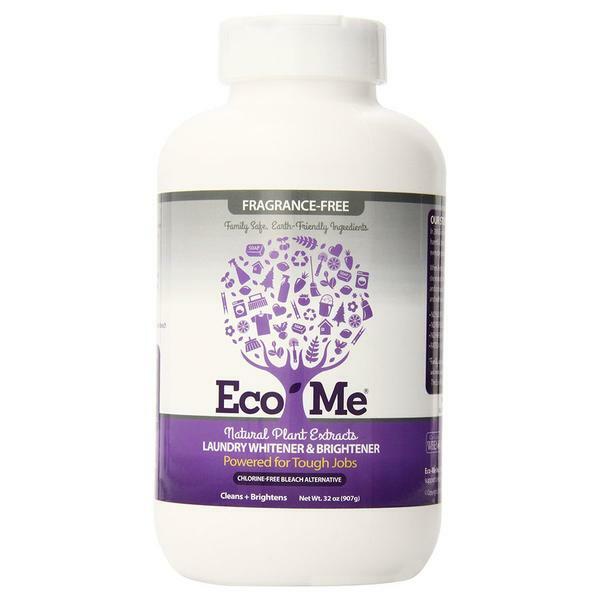 Eco-Me Laundry Whitener Brightener, Fragrance-Free 32 oz. Home > Natural / Organic Products > Natural Household Cleaning Products > Eco-Me Laundry Whitener Brightener, Fragrance-Free 32 oz. 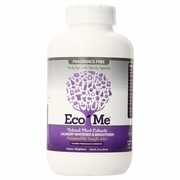 Eco-Me Laundry Whitener Brightener, Fragrance-Free 32 oz. Natural chlorine-free Laundry Whitening powder, fragrance-free. Use with Eco-Me Laundry Detergent to brighten whites. Eco-friendly safe ingredients. DIRECTIONS: Use a cap full (1oz) with regular laundry detergent to boost cleaning and to brighten whites. For large loads use 2 cap fulls. Repeat as needed. •Natural Stain Lifter Sodium Percarbonate is a natural brightening powder made from Sodium Carbonate and Hydrogen Peroxide. •Soda Ash Sodium Carbonate is a natural cleaning agent. •Baking Soda Sodium Bicarbonate: natural abrasive cleaner that deodorizes and scrubs away dirt and grime. •Food-grade Emulsifier Sodium Stearoyl Glutamate: a natural, food grade emulsifiers derived from coconut.